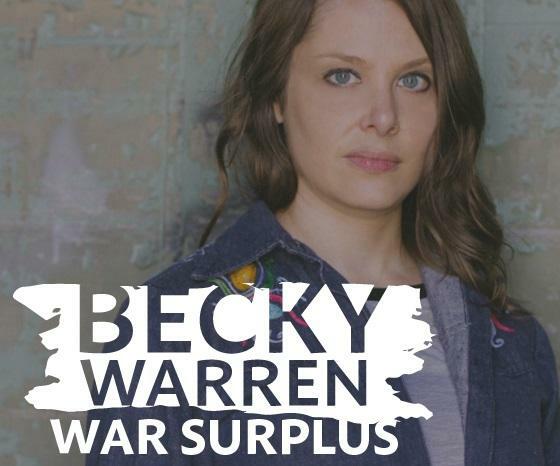 NASHVILLE, Tenn. (WMOT) -- Just in time for Veterans Day, Nashville songwriter Becky Warren has released War Surplus, an album about the post-war experience. Writing even one song about veterans and their sacrifices without lapsing into sentimentality is hard, making a whole concept album on the subject a high risk endeavor. But War Surplus tells its visceral and enthralling story with well-chosen words and bristling Americana rock and roll. Warren writes from personal experience, having married and divorced an Iraq veteran. Those trials interrupted a music career that was blossoming in Boston with the band The Great Unknowns. Now she’s Nashville based, and this debut solo project is garnering airplay and praise. Even if Lucinda Williams or Mary Gauthier tackled this same, complex subject matter, it’s hard to imagine a more impressive result.